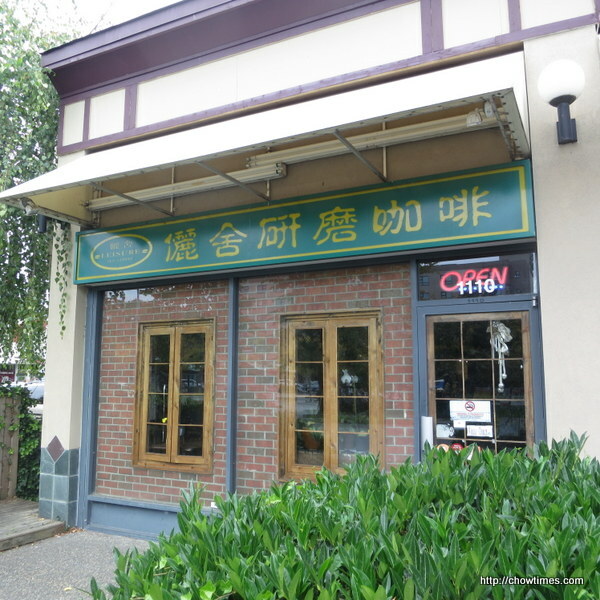 We had the Oriental Style Combo for 2 with 1 black coffee and 1 pot of tea for $26.25. 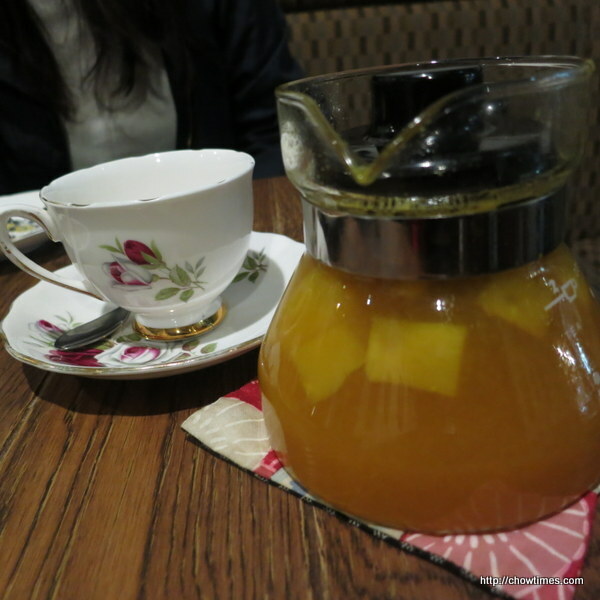 For the tea, Polly selected the Passion Fruit and Pineapple Tea. It was very sweet and fragrant. We asked for a pot of hot water so that we can dilute the tea before drinking. 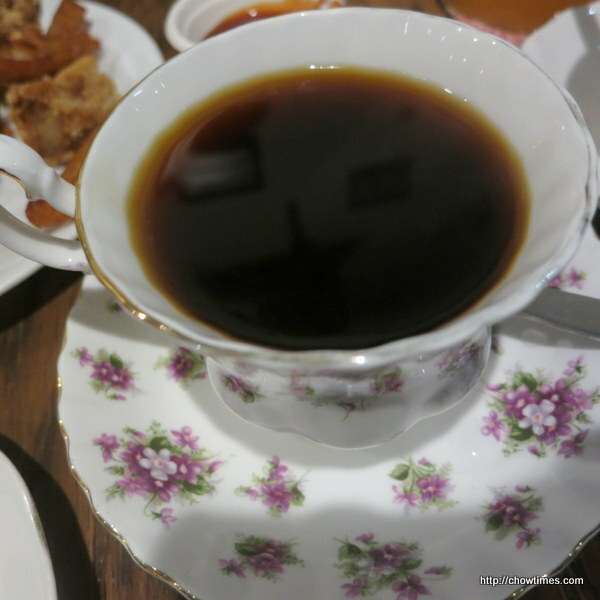 As for the coffee, I picked the Blue Mountain Coffee. 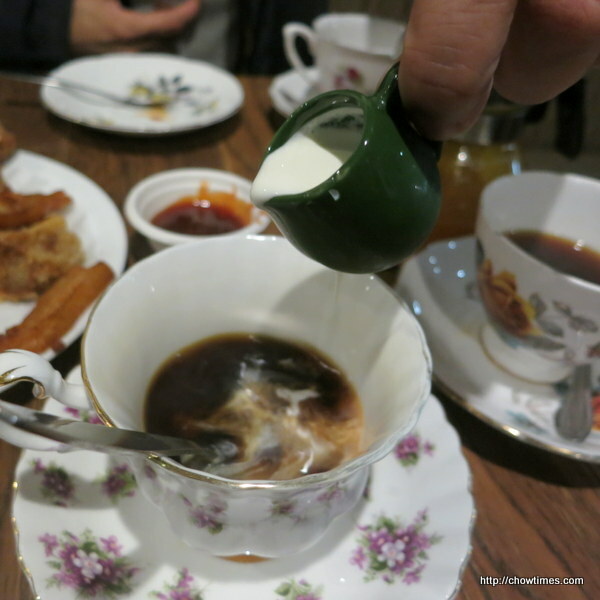 The creamer came in a tiny jug, like a toy jug. So cute. For the Oriental combo, it came with a platter of deep fried Taiwanese snack. 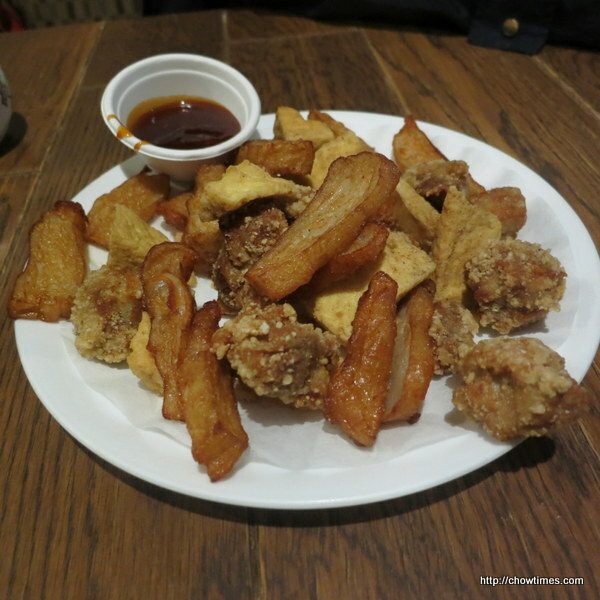 It consists of crispy chicken, fried tofu and fried tempura. These were served with a sweet chili sauce. The combo came with a choice of two desserts. 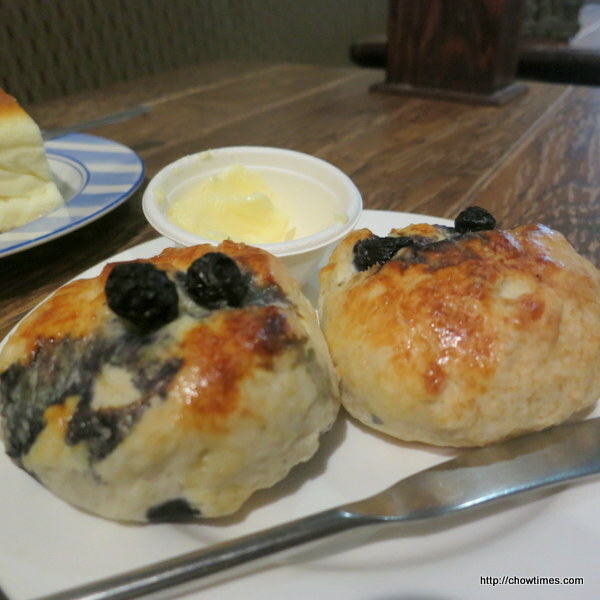 We opted for the Blueberry Scones for one. 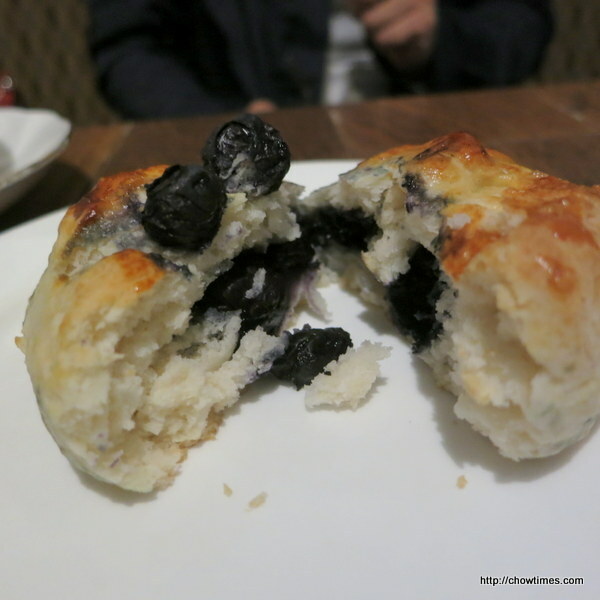 The blueberry scones was soft and has a quite a bit of blueberries in it. 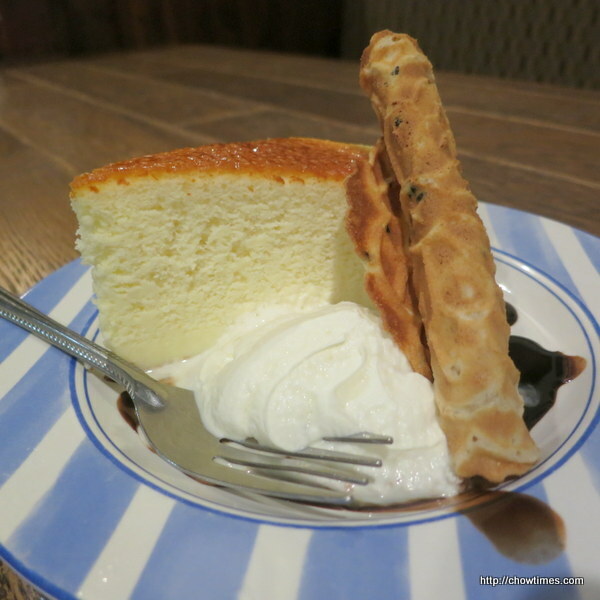 The second dessert we picked was a Japanese Cheesecake. It was served with whipped cream and chocolate sauce and garnished with a wafer roll. 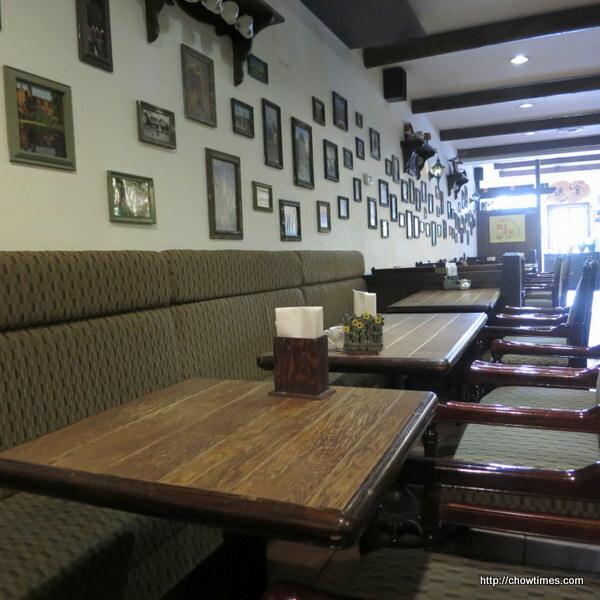 It was great to catch up with Polly again.